Join me on my mission to empower and motivate youth and women to the fact that "The greatest good you can do for another is not just to share your riches, but to reveal to them their own". 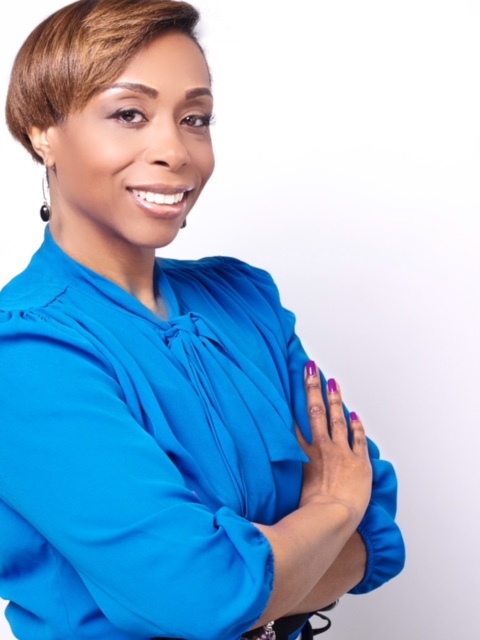 I am an empowerment advocate, certified mentor, speaker, educator and author. I was born and raised in Chicago, Illinois where I earned her Bachelor’s degree in Education and my Master’s degree in Reading. I am also certified in Educational Leadership. I have served as a public school educator for over 17 years in various capacities. I also serve as the CEO of Welcome 2 the Queendom, a non-profit organization that is dedicated to empowering young women. Interested in booking me to speak at your next event? As an educator, I am passionate about subjects that impact our children. I speak on topics such as bullying, leadership, and purpose. I'd love the opportunity to speak with you about your event to learn how we can work together to accomplish your event goals. Parents, if you would like to get a free copy of my eBook on bullying please click the button below. We would be happy to get that copy right out to you. children, bullying has a detrimental effect on the way they view themselves, and can cause serious damage to their self-esteem. This talk highlights the repercussions and signs of bullying, and what we can do to address this issue. Administrators all expected to develop a vision statement for their schools. Many times these statements appear throughout the building, on the website, and on brochures. Vision statements are descriptions of what schools would like to achieve. While vision statements do serve a purpose, most often they are not driving force behind the school, and in most cases they are written, and quickly abandoned. Vision statements are expected and needed, but also lose value if the leader has not developed and communicated his/her personal vision for the school. This failure of clear vision often leads to discipline issue, unprofessionalism, and low student achievement. Administrators must develop and implement a clear personal vision to build a positive school culture and facilitate student success. We all have gifts and talents that make us unique, as women we are caregivers, and we tend to care for everyone except ourselves. We are so busy taking care of others that we don’t discover who we are and why we are here. This talk is designed to empower women to identify their purpose and gifts, to empower them to allow themselves to be truly happy, and free to serve their gifts to the world. Talk/Workshop (Youth): Life is a Journey, What’s Your Destination? Many times children believe that their circumstances dictates their future. They don’t have a clear view of their future or they believe that they have no future. This talk is geared to inspire teens and empower them to change their mindsets, set goals, and set forth a plan to accomplish those goals.